Prime Minister, Dr the Right Hon. 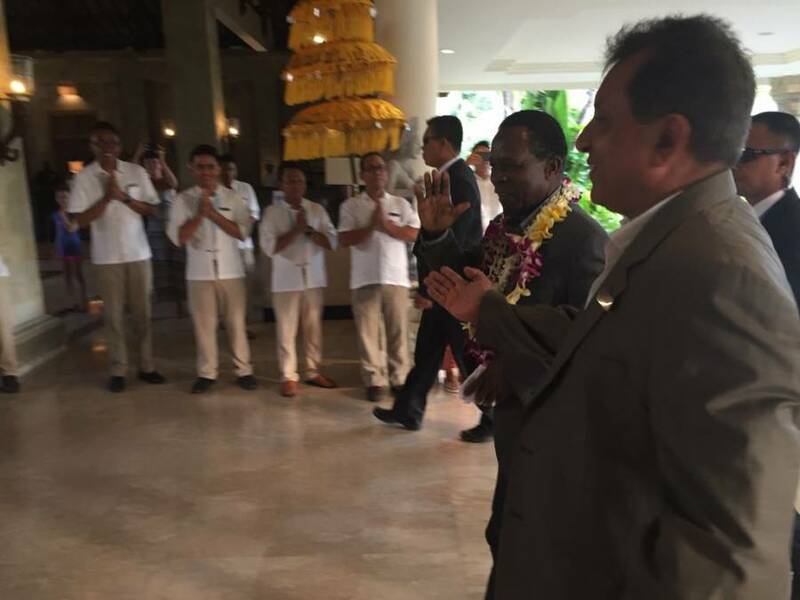 Keith Mitchell is in Bali, Indonesia this week for the Annual Meeting of the World Bank Group and the International Monetary Fund. Among other important engagements, Dr Mitchell will be a keynote speaker at the Small States Forum 2018. Dr Mitchell is the Outgoing Chair of the Small States Forum and will hand over chairmanship to Fiji at the end of the meeting on Thursday. The technical sessions at Thursday’s meeting will include discussion on Disaster Risk Management and Debt Sustainability in the Face of Shocks, as well as Technology, Innovation and Connectivity, Experiences from Small States and World Bank Group Support for Digital Development. The Small States Forum is designed to bring together Finance Ministers and Central Bank Governors from member states, along with high-level representatives from international organizations like the United Nations, International Monetary Fund, Organisation for Economic Cooperation and Development (OECD) and the Commonwealth Secretariat. The Small States Forum is usually held during the World Bank Group/IMF Annual Meetings.